incredibly fed blog: Hey.....Pesto !! Never believe it’s not so ….."
There are a few things we always like to have in the fridge which can be lifesavers when you are caught on the hop and have to prepare something to eat unexpectedly. Pesto is one of those. It is a wonder ingredient which is sure to inject flavour magic and zing to many recipes. When made, as long as the Pesto is covered with olive oil to prevent oxidation and kept is the fridge it will keep for ages and is an excellent way of turning left over fresh herbs into a flavoursome and useful paste. At the very least a spoonful of pesto can transform bland pasta or mash potato and when added towards the end of cooking to a casserole or stew will lift the dish to a new dimension. Mixed with a little breadcrumb pesto will make an excellent crust to cover and flavour grilled salmon or sea bass. It is also fantastic for presentation and interest when let down with a little more olive and used as a garnish drizzled around dishes. 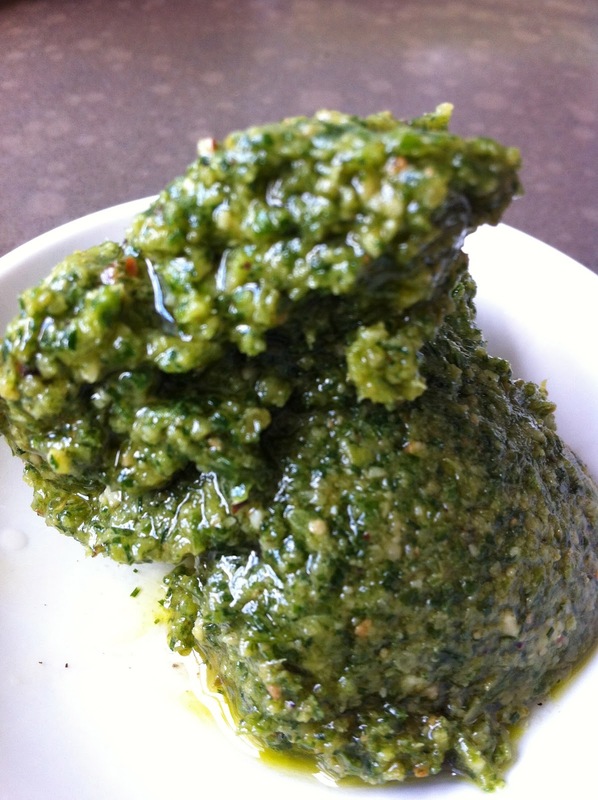 Most people associate pesto with the soft herb Basil and this is indeed a lovely one but in reality it can be made with any single soft herb or combination. You can even use a strongly flavoured leaves such as spinach, wild garlic or rocket. We suggest you try to make your own personal version which will help stamp your own personality on each dish you prepare. Traditionally toasted pine nuts are used as an ingredient but these days we find them quite expensive and tend to use them in dishes only where they can be seen. Roasted peanuts, cashews or walnuts are a reasonable substitute. Just blitz the ingredients and store in a jar, covered with olive oil. Whizz together and test. Adjust and season to taste. 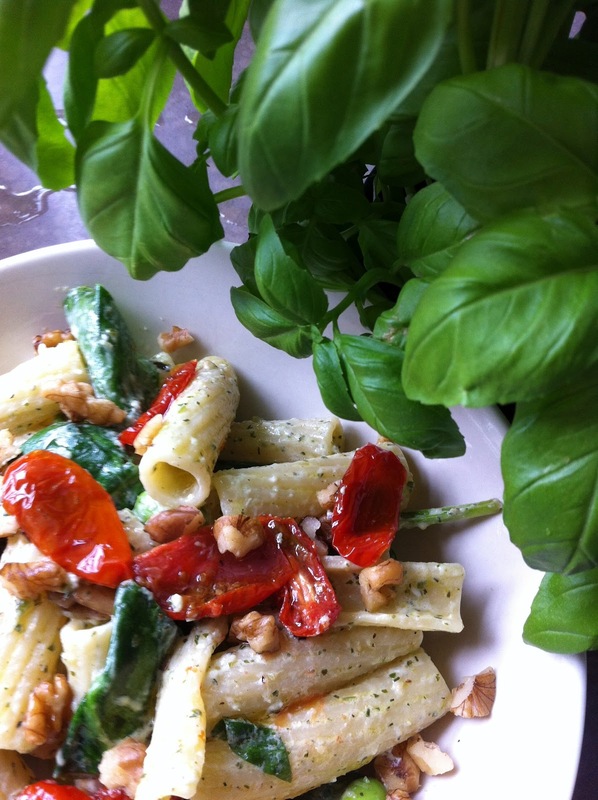 Rigatoni with pesto, yogurt, spinach, crumbled feta, edamame beans, chopped walnuts and sun blushed tomatoes.